Firstly, it might be worth explaining exactly what this website contains and what it aims to achieve. Back in Jan 99 when I first began the outline plan for the site, I intended to concentrate entirely on reconnaissance activity in the early Cold War period. 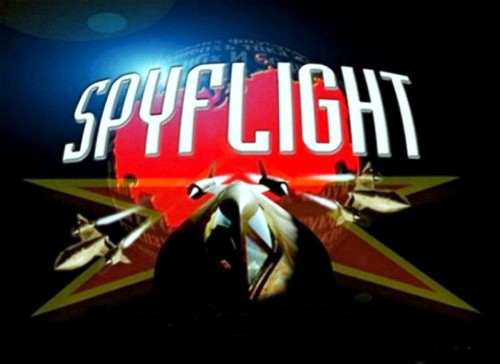 However, as things developed there seemed little point in covering that period alone, so instead I expanded the site to include all post-war intelligence, surveillance and reconnaissance (ISR) aircraft. In addition, I decided to include all post war aircraft which had or have the ability to gather intelligence, AEW aircraft, UAV's, Recce Pods, Losses, Recce aircraft that were cancelled or not developed and finally a look at what the future might hold. I know I haven't included every aircraft yet, but hopefully I'll manage it eventually. Any factual errors are entirely my responsibility and I would welcome visitors informing me where they believe I have got it wrong. 'An overflight is a flight by a government aircraft that, expressly on the direction of the head of state, traverses the territory of another state in peacetime without that other states permission’. 'An overt or covert flight along the boundaries, but clear of, the territory of another state for the purposes of obtaining photographic and/or electronic information'. Throughout the cold war the USAF referred to these sorties as the Peacetime Airborne Reconnaissance Program (PARPRO). As well as describing all post WW2 reconnaissance aircraft, their roles, equipment, UAV's and a look at what the future might hold, this website has another, more specific aim. A greater understanding of what flights took place, where they took place from and how/why they were conducted. Where possible and appropriate, public recognition for the individuals involved, acknowledging their bravery and skill. Where possible a record of the aircraft involved and what subsequently happened to each airframe. Eventually, possibly an open forum for comments, suggestions and discussion on cold war reconnaissance activity in general. Links to related aviation sites, bookshops and magazines, as well as some other interesting sites on the Internet. All of the information on this site has been obtained from public sources and is freely available to anyone willing to spend the time digging around through books, magazine articles and on occasions, de-classified files. If you’re looking for secret details on classified sorties that are still subject to the UK Official Secrets Act, you’ll have to look elsewhere. Nevertheless, there should be sufficient detail in these pages to attract the attention of anyone with an interest in military aviation in general and reconnaissance activity in particular. Paul Lashmar author of ‘Spyflights of the Cold War’ for permission to quote freely from his excellent book and the loan of various photographs. Paul's book was the original inspiration for the site. Chris Pocock author of ‘Dragon Lady’, ‘The U-2 Spyplane - towards the unknown’ and 50 Years of the U-2 - the complete illustrated history of the 'Dragon Lady' for permission to quote from all three publications, for the loan of background material, photographs and finally for his encouragement and advice. Gary Wann a friend and colleague of many years standing and website developer who updated the site using Rapidweaver. This website is dedicated to the servicemen and women of all nationalities who lost their lives since the end of World War 2 whilst engaged in activities in support of their countries national interests. As the Second World War drew to a close, before the widespread introduction of radar, victorious RAF and US Army aircraft routinely engaged in overflights across various countries. Very few of these flights were specifically gathering information on potential adversaries, instead the ex-wartime aircrew simply chose to fly the most direct route, much as they had done during the war. Although national boundaries were generally respected, this did little to deter overflights if intelligence gathering was required and there was little if any opposition from the countries targeted. At the cessation of hostilities the victorious wartime alliance between the Soviet Union and the other Western Allies soon deteriorated into outright hostility. The new political reality was most clearly summarised by Winston Churchill with his speech at Fulton on 5 Mar 46 in which he stated ’From Stettin on the Baltic to Trieste on the Adriatic and Iron Curtain has descended across the continent’. As the western allies refocused their attention to the Soviet Union, it quickly became apparent that very little if anything was known about that vast country - a situation that would have to be urgently addressed. By the end of the Second World War, amongst the Western Allies, the only the RAF and USAF possessed any strategic reconnaissance aircraft. The RAF’s primary reconnaissance platform was the Mosquito. The long-range Mosquito PR34 only entered service at the very end of the war and was subsequently used in operations over Europe and the Middle East. Even before the end of the war a number of Lancaster bombers were converted into Lancaster PR1 photo-reconnaissance aircraft and carried out various tasks over Africa and the Middle East. A number of reconnaissance versions of the Spitfire were developed and operated during the war, but after the war the need for greater range restricted the use of these aircraft. Later, in the early 1950’s, a number of Spitfire XIX's flew sorties against China. 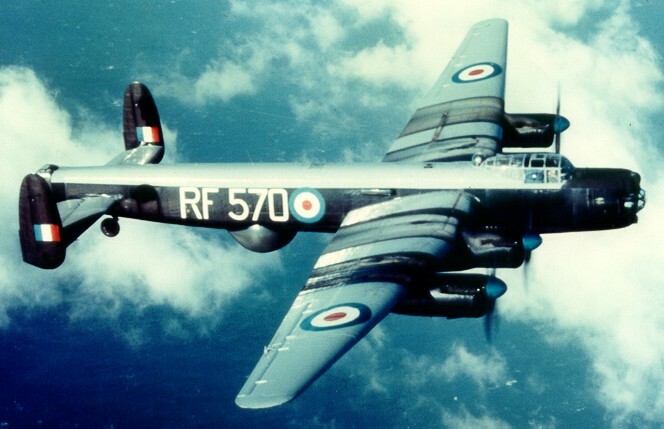 The Lincoln bomber was a development of the Lancaster and in the 1950’s a number of these aircraft were used for radar reconnaissance sorties, this task was later augmented by a number of Washington aircraft. The urgent need for intelligence on Soviet activities in East Germany also resulted in Meteor PR10 and modified Venom aircraft being used for quick reconnaissance sorties over the East German border. The first American jet bomber, the B45 Tornado, was later developed into the RB-45C Tornado and flown by RAF crews on radar reconnaissance sorties over Russia. 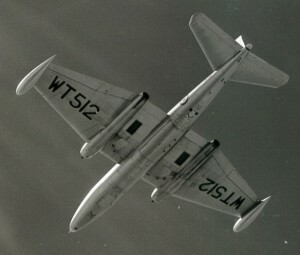 The RAF’s first jet bomber, the Canberra , was soon developed into an excellent reconnaissance platform and was utilised on a number of occasions against targets in the Soviet block. A version of the first of the V bombers, the Valiant , was used to radar map approach routes into Russia for the V Force, the Victor SR Mk2 and Vulcan B Mk2 MMR later continued this work, but concentrated mainly on martime reconnaissance. The Comet R Mk2 was the RAF’s principle electronic reconnaissance aircraft for many years until replaced by the Nimrod R1. The USAF also responded quickly to the need for effective reconnaissance behind the Iron Curtain. On 10 May 1949 an RF-80A conducted the first overflight of the Soviet Union when it overflew the Kuril Islands in the extreme Soviet far east. 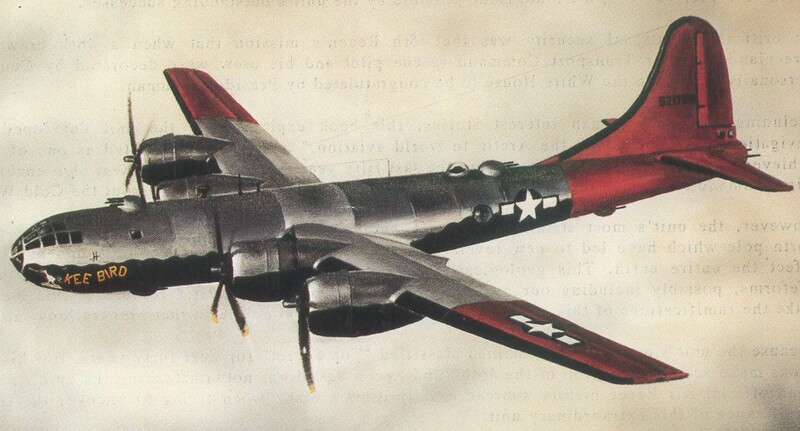 The Flying Fortress was converted into the RB-17 / RB-50 and proved an effective long-range reconnaissance platform, setting the trend for converting bombers into this role. The RB-29 / F-13A a redesigned version of the B-29 bomber, operated for many years gathering intelligence along the borders of, and on occasions, into the interior of the Soviet Union. Another highly modified version of the B-29 bomber was the EC-97G this aircraft was used in the electronic recconaissance role for a number of years. The PB4Y-2 Privateer, a version of the wartime Liberator bomber, was also used on many sorties along the Soviet borders. The B-36 Peacemaker bomber was designed during World War 2 to provide the USA with the ability to conduct sorties against Germany from the continental USA. This aircraft was eventually developed into the RB-36D and this huge aircraft had both the range and service ceiling to probe the defences of the Soviet Union via the North Pole.The US Navy also operated a small number of P4M Mercator aircraft for a variety of special tasks. The US Navy also operated their own dedicated reconnaissance aircraft, the P2-V Neptune , for many years as did the CIA using a another version of this excellent aircraft, the RB-69A . The success of the RAF’s Canberra eventually lead the USA to decide to build the aircraft under licence as the B-57. A highly modified version of this aircraft, the RB-57D/F was later used in operations along the borders of the Soviet Union and over China. Another bomber, the B-47 Stratojet, was also developed into the RB-47 and, despite a fairly low operational ceiling, this aircraft was used for overflights of the Soviet Union on a number of occasions. Another version of this aircraft, the ERB-47H became for many years the USAF’s principle electronic reconnaissance platform. Before the arrival of the U-2 , the absence of a specially designed high performance reconnaissance aircraft forced the USAF into converting a small number of F-100 Super Sabres into RF-100A's and these aircraft conducted some high-risk overflights of the Soviet Union and China. The U-2 gave the USA an entirely new capability and, for a number of years, gave the USA priceless intelligence on areas of the Soviet Union which had been out of reach of other aircraft. The U-2 was later eventually developed into the TR-1 / U-2S . A US Navy attack bomber, the Skywarrior, was eventually converted into the EA-3B / RB-66 and served with great distinction for many years. The B-707 civilian passenger aircraft was soon converted into the RC-135 , a variety of different versions of this aircraft have become the USAF's principle ELINT aircraft and are still in service. 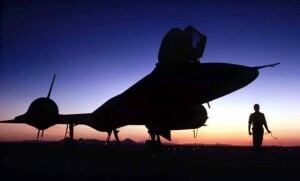 The A-12 took aircraft performance to a new level, one that has not been officially exceeded to this day, and allowed these aircraft and it's sucessor the SR-71 to operate with impunity for many years. Rumours persist of a replacement for the SR71, codenamed Aurora , but until details on this and other Future Reconnaissance Aircraft are made public, we can only speculate on both their appearance and levels of performance. COMINT - Communications Intelligence- -Technical and intelligence information derived from foreign communications by other than the intended recipients. ELINT - Electronic Intelligence -- Technical and intelligence information derived from foreign non-communications electromagnetic radiations emanating from other than nuclear detonations or radioactive sources. EW - Electronic Warfare -- Military action involving the use of electromagnetic energy to determine, exploit, reduce or prevent hostile use of the electromagnetic spectrum and action which retains friendly use of electromagnetic spectrum. electronic jamming -- The deliberate radiation, reradiation, or reflection of electromagnetic energy for the purpose of disrupting enemy use of electronic devices, equipment, or systems. electronic deception -- The deliberate radiation, reradiation, alteration, suppression, absorption, denial, enhancement, or reflection of electromagnetic information and to deny valid information to an enemy. electronic counter-countermeasures -- That division of electronic warfare involving actions taken to ensure friendly effective use of the electromagnetic spectrum despite the enemy's use of electronic warfare. Also called ECCM. electronic warfare support measures -- That division of electronic warfare involving actions taken under direct control of an operational commander to search for, intercept, identify, and locate sources of radiated electromagnetic energy for the purpose of immediate threat recognition. Thus, electronic warfare support measures provide a source of information required for immediate decisions involving electronic countermeasures (ECM), electronic counter-countermeasures (ECCM), avoidance, targeting and other tactical employment of forces. Also called ESM. Electronic warfare support measures data can be used to produce signals intelligence (SIGINT), both communications intelligence (COMINT) and electronics intelligence (ELINT). GCI - Ground Controlled Intercept - Controller that guides interceptor aircraft to an air target using ground radar stations. LORAN - Long Range Navigational Aide - uses beacons to vector destination. Mi - Abbreviation for aircraft designed by Vladimir Myasishchev, Soviet Union. MiG - Abreviation for aircraft designed by the Mikoyan/ Gurevich team, Soviet Union. MIT - Massachussets Institute of Technology, Cambridge Mass. RAND - Research think tank - from initials for Research and Development - originally set up 1946 to service Air Force but gradually widened remit. SHORAN - Short Range Navigational Air - uses beacons to vector destination. SIGINT - Signals Intelligence -- A category of intelligence information comprising all communications intelligence, electronics intelligence, and telemetry intelligence. SRW - Strategic Reconnaissance Wing - Usually three squadron in USAF Wing. TU - Abbreviation for aircraft designed by Andrei N. Tupolev, Soviet Union.